The Little 40 II amp is the natural evolution of our popular Little 40, created to meet the needs of all guitar players. On the Little 40 II we added an onboard pedal circuit (on channel two), featuring more controls than a simple pedal, with a complete and effective EQ, gain and master control. Another highly-requested feature is the onboard reverb. For the Little 40 II we chose the latest generation of digital reverb: sweet-sounding, warm and natural and less noise than a common spring reverb. Australian Guitars magazine reviews the Little 40 II and DV Neoclassic 212 Sept. 8, 2015, 6:41 p.m.
Australian Guitars have reviewed the Little 40 II and the DV Neoclassic 212 in their August issue, having plenty of good things to say... with no "cons"! 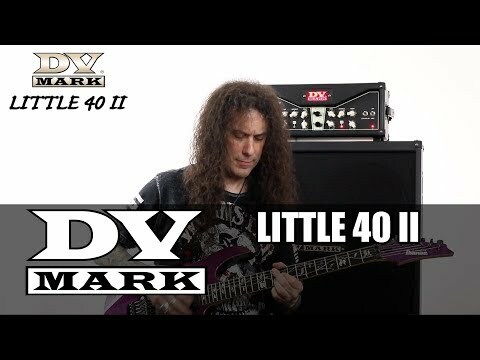 Mixdown magazine reviews the Little 40 II Dec. 4, 2014, 8:45 a.m.
Australia's Mixdown have reviewed the Little 40 II head, saying it’s a unique lit­tle amp with some very cool features!